Ready to create your own visual halloween infographics? Check out these halloween elements for infographic design to get you started! 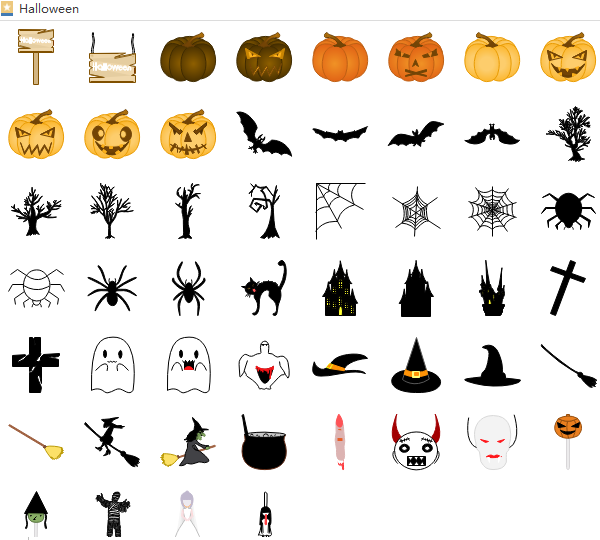 Below picture shows part of halloween elements in the libraries of Edraw infogrpahic maker. Apart from those infographic elements, there are also many other festival elements provided for users to drag-and-drop, and edit according to different situations. What if there is no halloween elements you are satisfied with? Don’t worry! 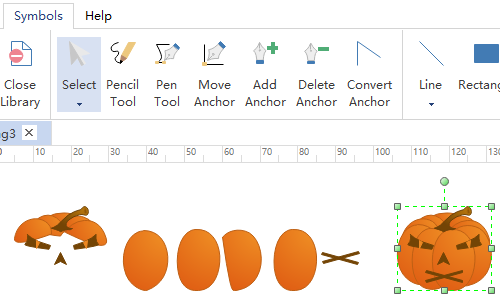 Our software prepares a set of drawing tool in advance for users who needs to create their own elements. See below halloween infographic and learn how to use halloween elements for infographic design tactfully. Want to use the above halloween elements in your infographics? Download Edraw Infographic Maker! It includes a large variety of halloween shapes which are easy to modify. Design a beautiful infographic is just a few click away. Try it now!